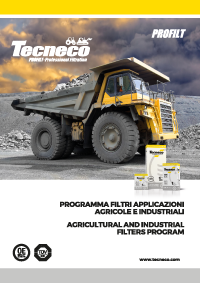 PROFILT is the name of TECNECO filtration program for agrucultural and industrial applications developed over the years. The program includes air filters, oil filters, fuel filters with applications on tractors, cmpressors, earth-moving machines, and many other professional vehicles. Each filter of the PROFILT program is manufactured with compliant and specific materials and in compliance with standards and filtration performance required by vehicle manufacturers. 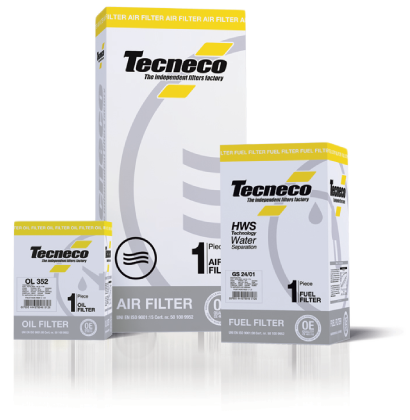 Numerous product codes of this program are supplied by TECNECO directly to the manufacturers, as products of Original Equipment (OEM) and Original Replacement (OES).